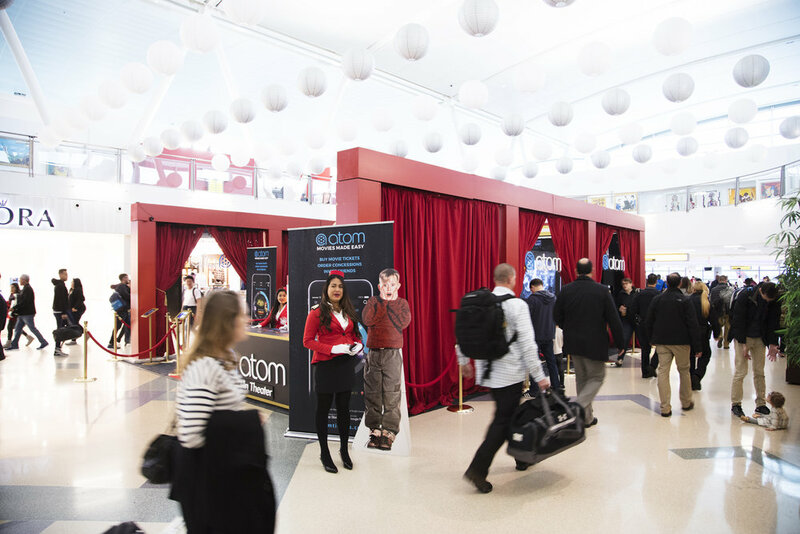 With Grandesign’s expertise in airport activations, we were able to create the “Atom Fly-In Theatre” in Terminal 4 of the JFK Airport the day before Thanksgiving. Holiday favorites such as Home Alone and Miracle on 34th Street were streamed all day long. An extensive selection of free movie theatre candy and freshly made popcorn was also served to guests. The event was so successful, Atom Tickets decided to bring it down the street to the Oculus Center during December.